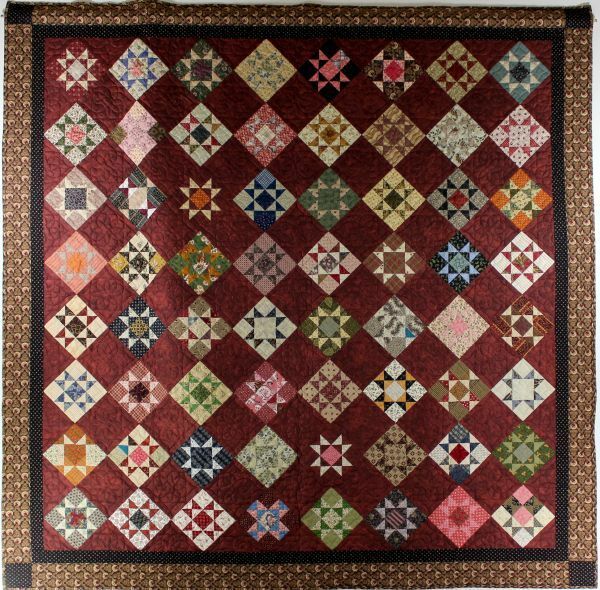 Isaki made this quilt by following an old-time pattern circa 1880. She used fabric saved over the years. Isaki says that she had a lot of fun making this heirloom piece, which was machine quilted by Kathy Barlow.